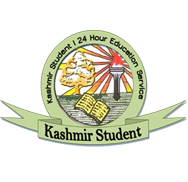 With National Assessment and Accreditation Council (NAAC) team’s visit to University of Kashmir (KU), students in the Varsity have alleged that they are being forced to take classes from 9 am to 5:30 pm. The official notification regarding the new timings was sent to class representatives of all the departments. Students said the new timings in classes were hard for them to manage and alleged they were being caged. “The regular classes had to be from 10 am to 4 pm which was fine for us. But this new timing has caged us virtually,” Batool (name changed), a Science student said. 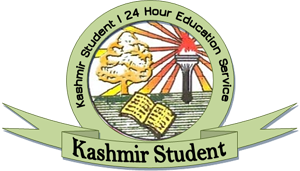 The NAAC team is on a four-day visit to Kashmir University to assess its different facets. “The areas which the team will focus on are quality of education, campus happenings, achievements and ongoing student activism,” an official in the administration told KNS, on the condition of anonymity. “The show-off of the Varsity administrators with students being forced to take classes up to evenings is beyond any logic,” he added. The students alleged that they were being forcibly arranged in the classes so that NAAC team gets impressed. “It is dramatic and deceptive the way they handle us these days and ask to stay indoors as if we are cattle,” said a Commerce student. Students waiting outside the examination block said they were being ill-treated in getting their migration and other certificates. “For the second consecutive month I’m waiting here for my migration certificate which they are not giving me by stating that it takes time. But I wonder how much time does it take,” Mehraj-ud-din, a student told KNS. “If they do not provide me the certificate my career will be ruined,” he added. The Varsity campus remained deserted for the past two days as no student movement was seen as compared to other days. Canteens too remained less visited by the students. “The campus might be seeming sprawling with paint and students inside the classes but the bitter reality is that it’s all cosmetic and in a bid to show-off the so-called potential and work culture,” said a KU teacher, pleading anonymity. “There are huge scams in KU in which senior officials are involved. To hide that from visiting NAAC team, the KU authorities are leaving no stone unturned,” he alleged.